It’s probably been a year or two since you started letting them choose their gifts for Xmas, getting them to diligently write out the list and taking the gift cues from it. We say start surprising them again, after all, being a parent (or significant adult) is all about introducing them to new things! We know the new iPod Touch will be at the top of many a list for kids of this age group, but let’s think outside the square and put the surprise factor back into their day. We bet they won’t be expecting the most beautiful Christmas-themed Snugglebum pyjamas in soft pure cotton. These are ideal for those who give gifts on Christmas Eve or like to let the kids open just one present. They come in various styles from newborn to size 14 and we love the idea of kitting all the kids out for some special photos on Christmas morning. 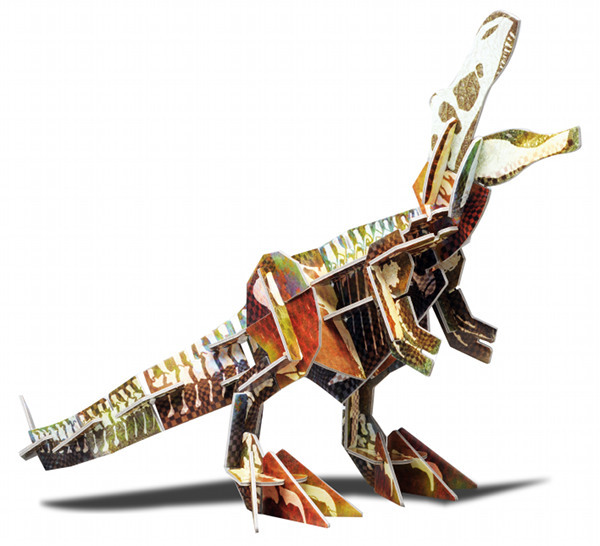 We can’t go past a groovy craft project, especially one with an educational bent like this fantastic Bioviva 3D Tyrannosaurus Model EcoKit, which is $32 from Eco Toys. We’re big on waste-free lunches here at Babyology and this is the prime age for training them to make their own food, using some amazing waste-free packaging options. 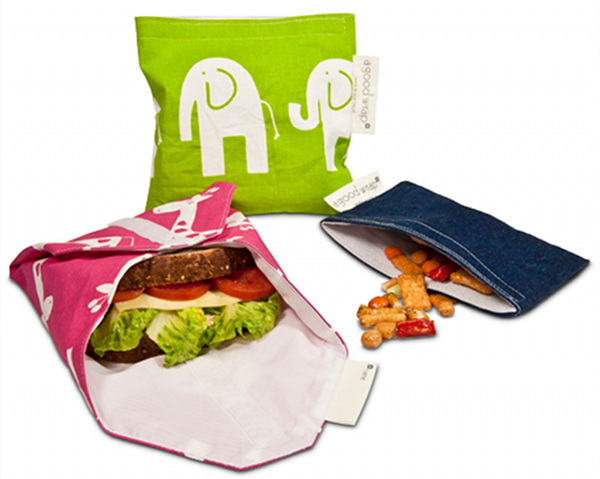 These ones from A Good Wrap start at $10 and are extremely durable and good-looking. There are three handy sizes and they can be thrown into the washing machine! If you have a little person who can’t leave your expensive lotions and potions alone, then this gorgeous natural makeup kit from Pure Poppet will surely satisfy. They can create characters, dress up and role play to their heart’s content, and you can be assured there are no nasty chemicals. There are five mineral powders which can be used dry or wet, two lip balms and a floral water spray as well as applicators. 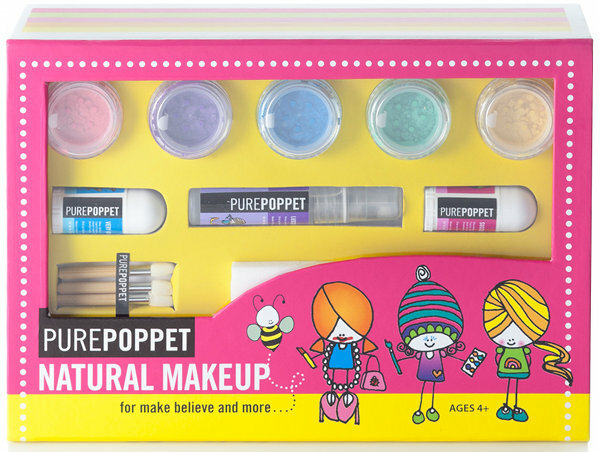 The Natural Children’s Play Makeup Kit is $39.95 from Pure Poppet. Delivery will be mid-November. Christmas is the time for summer-focused gifts and we are crushing on these amazing Frankie Ray sunglasses from Eyetribe. They’re loaded with fashionista cool, for kids who are becoming increasingly image-conscious. They’re super-fun for summer and have all the right safety ratings to protect their eyes and skin. 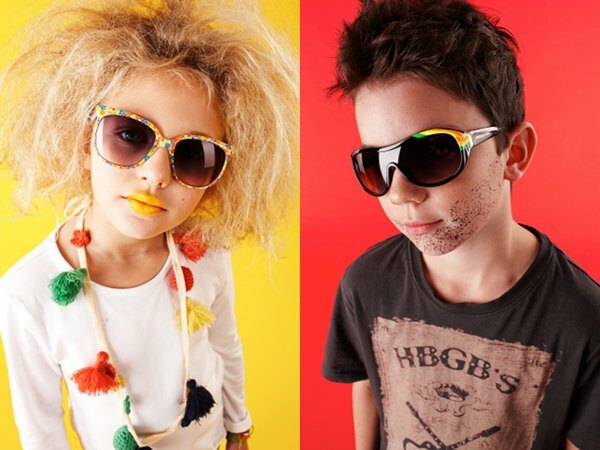 Buy from Eyetribe for $29.95 a pair, with many styles to choose from for both boys and girls. 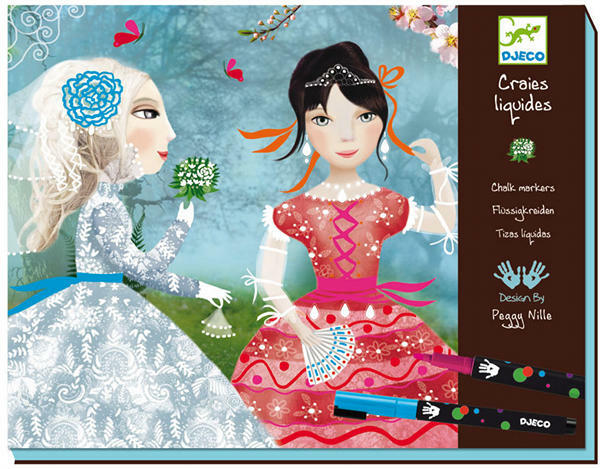 We think the art and craft kits from Djeco are oh-so special. This one is the Djeco Ribbons & Lace Chalk Markers kit where kids can make their own masterpiece, successfully producing an artwork of intricate beauty. This kit is $42.95 from Where Did You Get That? and there are many more to choose from in the Djeco range. Fabulous t-shirts are the number one staple in many a kids’ wardrobe and this Little Lark Buildabot tee sure makes an edgy statement for this oft-picky age group. Haven’t got a six to eight-year-old? 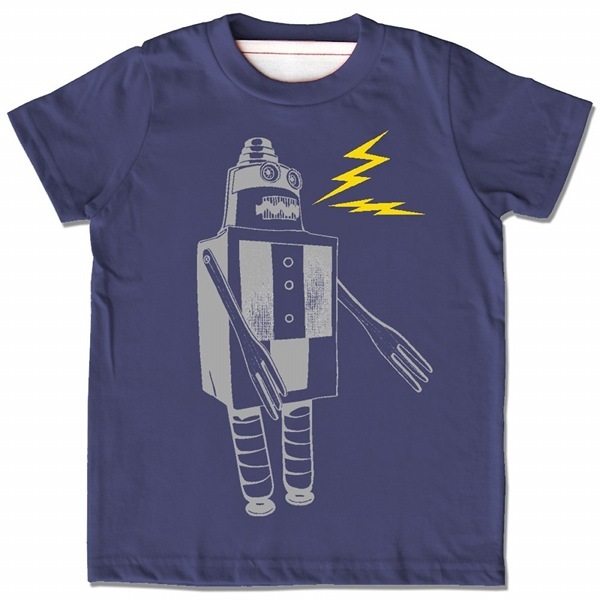 No problem; it’s available in sizes 2 to 8 so even the littlies can get in on the robot act! Buy it from uber-cool boutique Minibots for $35. 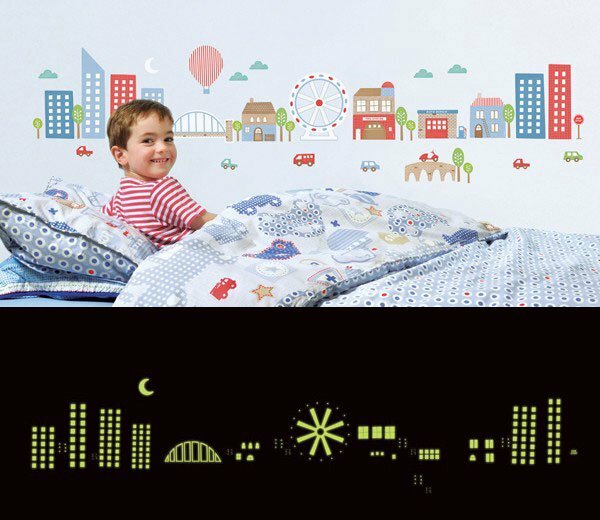 At this age, they love something unique and the Glow Town glow in the dark wall decals from Little Chipipi fit the something-a-little-different criteria. 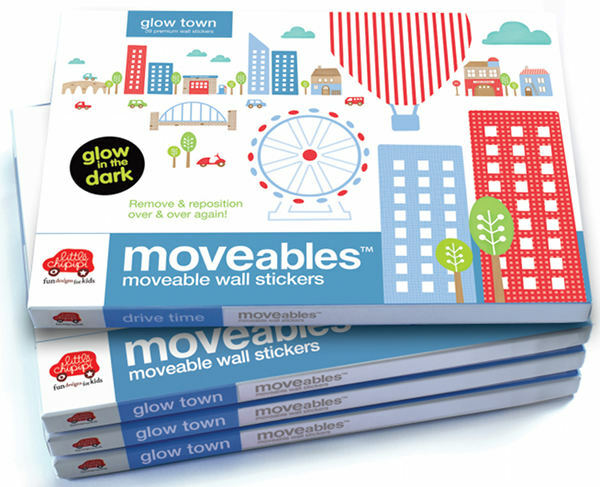 They’re removable, repositionable and are just the thing for boring blank walls. The set is $99.95 and comes in a lovely box (below), just perfect for gift-giving from Little Chipipi. 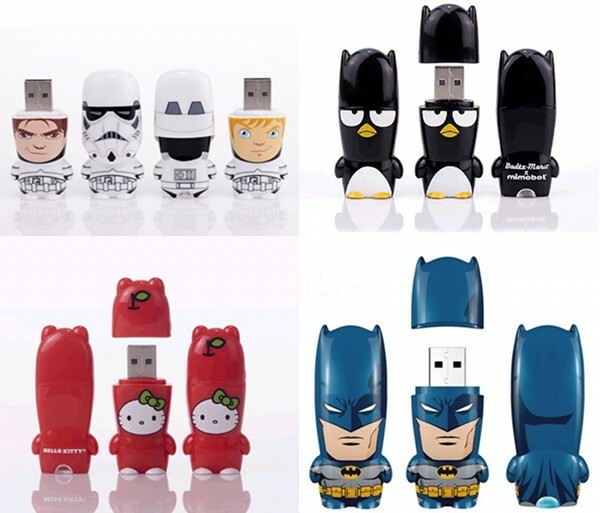 Many kids are pretty tech-savvy by now so why not enliven the experience with these exceptional 2GB Mimobot USB drives! Choose from cute models such as Hello Kitty, Batman, Star Wars characters and Badtz Maru. They’re $34.95 each, with ten to choose from, at Quirky Kids Online. My eldest son will turn seven next February and already has a very active interest in the world. Our atlas gets a big workout as we talk about the world and where he might like to go on our next trip. 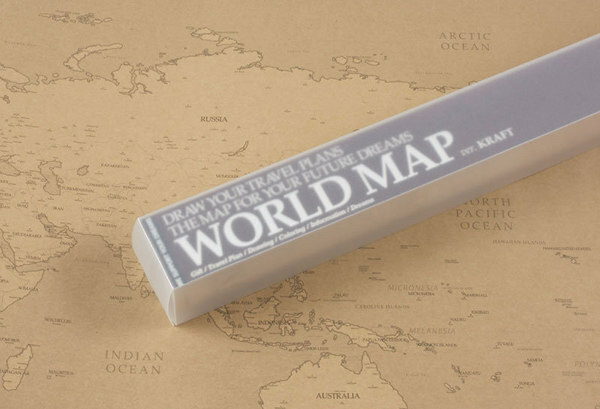 This gorgeous paper world map can be stickered, coloured and marked, hung on the wall or placed on their desks and makes a truly original gift for a six to eight year old; or anyone above this age for that matter! It’s $22 at The Gift Corner and is also available in grey and pink.